You had me at Haley Lu Richardson. The Columbus and Support the Girls star continues to shine on her way to becoming one of Hollywood's most sought-after names. The quality work she's been doing is undoubtedly what caught the attention of Downton Abbey writer/director Julian Fellowes who cast her in The Chaperone as Jazz Age icon Louise Brooks. Richardson stars as Brooks, an aspiring dancer from Wichita, Kansas who ventures to New York City for the first time accompanied by a chaperone, played by Downton Abbey's Elizabeth McGovern. Also in the cast are Miranda Otto as modern dance pioneer Ruth St. Denis, Blythe Danner, and Campbell Scott. Fellowes wrote the script with Downton Abbey's Michael Engler behind the camera, having just completed work on the series' big screen spinoff. Here's the synopsis: Louise Brooks, the 1920s silver screen sensation who never met a rule she didn’t break, epitomized the restless, reckless spirit of the Jazz Age. But, just a few years earlier, she was a 15-year-old student in Wichita, Kansas for whom fame and fortune were only dreams. When the opportunity arises for her to go to New York to study with a leading dance troupe, her mother insists there be a chaperone. 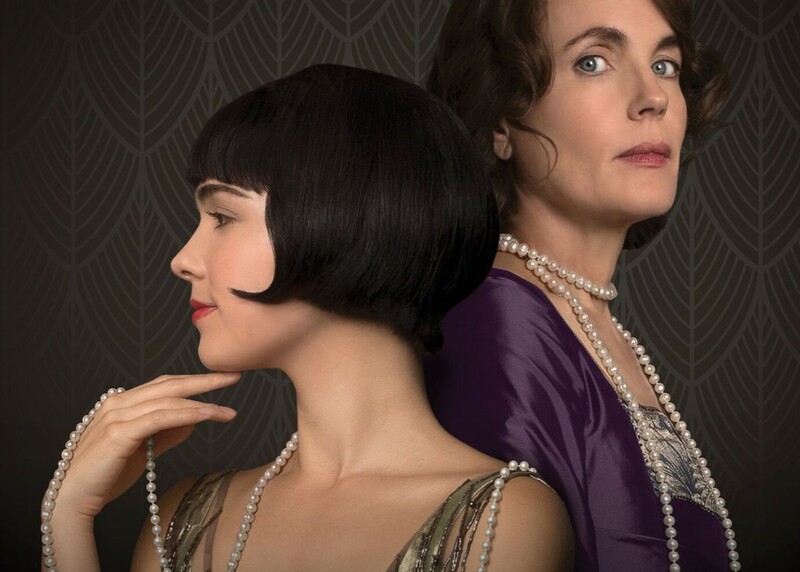 Norma Carlisle (Elizabeth McGovern), a local society matron who never broke a rule in her life, impulsively volunteers to accompany Louise (Haley Lu Richardson) to New York for the summer. Why does this utterly conventional woman do this? What happens to her when she lands in Manhattan with an unusually rebellious teenager as her ward? And, which of the two women is stronger, the uptight wife-and-mother or the irrepressible free spirit? It’s a story full of surprises—about who these women really are, and who they eventually become. The Chaperone opens in NY on March 29th and LA on April 5th.